Pay by phone bill is the next best thing when making deposits at your online casino. But which are the best UK casino sites that use pay by phone? Also, how does it work? What do you need to know and why did Slotsquad choose the following mobile casinos to deposit using your phone bill? In this article, I’ll answer all those questions and more. We’ll look at the good things about paying with your mobile phone bill, and also the not so good. So without further ado, Let’s look at what it is and why casino players might want to use pay by phone bill. 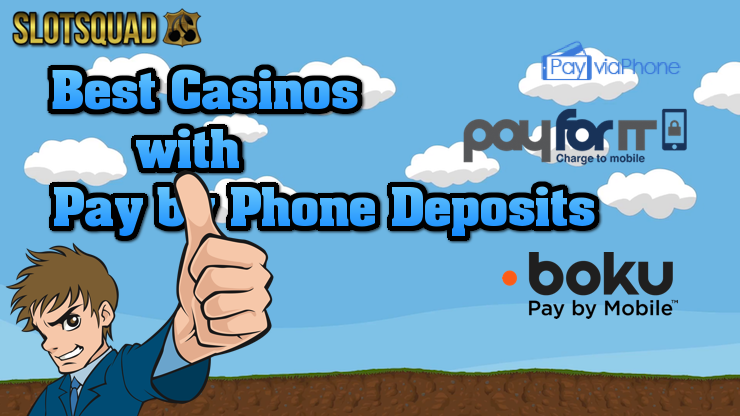 You can see our best UK casino sites that use pay by phone below, or use the following links to jump past the casinos to find out more information on this payment method. What is pay by mobile phone bill? How casino deposits through mobile billing work? How are casino deposits shown on your bill? The Sun Play is our best casino site that offers pay by phone billing. Using the Nektan games platform, you can access some of the most popular slots and jackpots available. Boku is the mobile billing deposit method used by Thesunplay.co.uk. One of the key metrics at Slotsquad for scoring casinos is new slots. The Sun Play scores high for regular new gaming content with the latest games getting updated frequently. Other reasons to play here include exclusive games, VIP club and seasonal promotions. Oh, and Boku pay by mobile. If you’re like me, you’re a fan of fruit machines and taking down jackpots at the local pub. Fruity King Mobile Casino re-invents fruit machine games for the online world. While not as easy as winning on fruit machines, The Fruity King games offer considerably bigger payouts and jackpots. Fruityking.co.uk uses ProgressPlay software and with that comes PayviaPhone, again it’s another service that bills your deposits to your mobile phone operator. Fruity King is one of our best casino sites for mobile billing for its casual games suite and jackpots. You can also play slots such as Lightning Horseman that offers four lightning jackpots. I did say Fruity King was the ruler of all fruit machines! Didn’t I? Dr Slot is the creator of the Casinoverse and a casino from the exclusive Intouch Games Studio. While other casino sites with mobile billing might offer the same slots, Dr Slot Casino does not. If you’re playing here, then you’re playing exclusively. 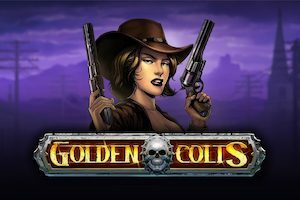 Intouch Games develop some of the most exciting and unique real money games on the market. As a UK casino with pay by phone, they’re on this list because they deserve to be. Pay by Phone Bill technology used by Drslot.co.uk is quick, secure and convenient. There’s also a good number of reasons to spin with the Doctor. Bonuses, games built by developers in the UK, support based in the UK and slots you won’t find anywhere else. While the smallest of the casinos that we recommend with pay by phone, it’s undoubtedly one of the best. Pocket Fruity is from the Gaming Realms neck of the woods and a great casino site. Mobile billing is offered through Pay by Mobile which means easy payments for top games. Some of the reasons to play via mobile billing at Pocket Fruity include Live Casino, Mega Jackpots and of course Slingo. If you’ve never heard of Slingo before it’s the unique hybrid of slots and bingo. Sounds weird, but its also quite good with top payouts in the thousands. Again, Pocketfruity.co.uk makes the list for regular new games and slots. With a nice casino design, cartoon fruit people and that strange game Slingo. It is one of the best UK casino sites for mobile billing. Pots of Luck is a Boku mobile billing casino and a favourite with UK players. The Irish theme along with Nektan’s gaming platform is a mobile casino must. With hundreds of games, new slots and a VIP club, we couldn’t leave it out. One of the main reasons why it’s on our best casino sites with pay by phone is sheer scale. The numbers speak for themselves. While I like the exclusive Nektan slots on offer, Pots of Luck is the home of the big guns. We’re talking the top developers, slot features that produce wins and lots of variety. Plus, who doesn’t like Irish themed games and casinos? If you’re looking for the Luck of the Irish, it has to be here! Doesn’t it? Q. What is pay by phone bill? Answer. Pay by phone is a new generation payment method developed for fast, secure and straightforward deposits. Mobile casinos, online casinos and other gaming sites now use the technology that involves billing directly to your mobile phone bill. Depending on which mobile casino you join, there’s a variety of pay by mobile methods available. You might have heard of Boku, Pay Via Phone, Zimpler and PayForIt direct carrier billing. It’s all very technical, but these deposit methods have one thing in common. You pay, you play, and that deposit is charged to your mobile phone bill, appearing on your statement. Q. How does casino pay by mobile work? Answer. Whether it’s Boku, Pay by Mobile or PayviaPhone, they all work in the same way. Above, Slotsquad shared with you the best UK casino sites for pay by phone, but what exactly happens when you make a deposit at these casinos? let’s get tech savvy. Whether it’s Boku, Pay by Mobile or PayviaPhone, they all work in the same way. Above, Slotsquad shared with you the best UK casino sites for pay by phone, but what exactly happens when you make a deposit at these casinos? let’s get tech savvy. Q. What’s good about paying with your mobile? Q. What’s not so good? Answer. Despite the popularity of this next generation casino payment method, deposits by phone bill aren’t for everyone. Below we’ve listed some of the reasons why casino payments using your mobile might not be the best way to go. How are casino deposits shown on your phone bill? Your monthly phone bill can be viewed by going to your online account (UK network operator). If you don’t know the password or how to access your mobile account, get onto this straight away. Casino deposits using pay by phone can add up quickly if you’re not careful, and especially if you’re not looking. Now look for a bill summary section or view full bill and then choose that particular area of the statement. Now look for Payforit, Pay by Phone, Boku or whatever mobile billing method your casino is using. Another good tip is to look at the terms and conditions of your casino operator. You’ll find the exact the details, company name etc behind any pay by mobile medium.